The JSF will gradually replace the F-16 fleet by offering the nation a new defense and attack capability. 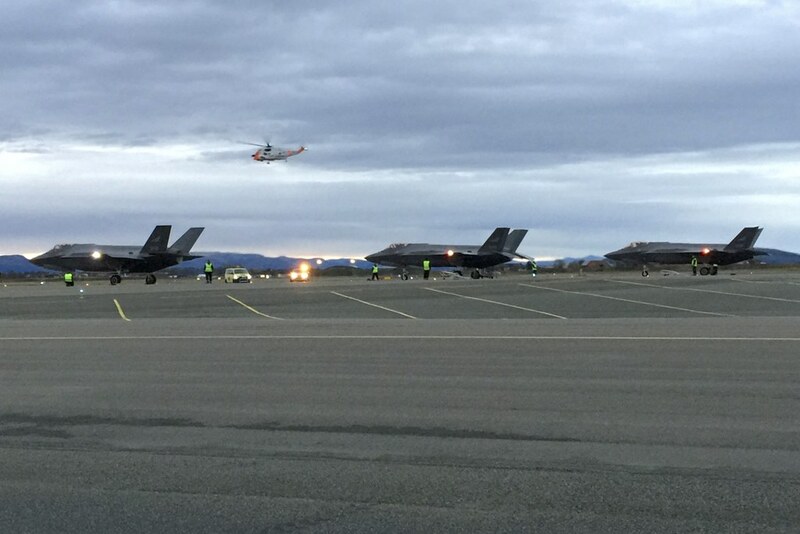 Ørland Air Base, November 03, 2017 - Today, the first three F-35 Lightning IIs for the Royal Norwegian Air Force landed at their new home base, Ørland Air Base. The jets departed from the F-35 production facility in Fort Worth, Texas, USA, at 6:35 a.m. Norwegian time, and landed on Norwegian soil for the first time at around 3:40 p.m. local time. Norway has taken delivery of 10 F-35s to date. Seven of those aircraft are at Luke Air Force Base, Arizona, where Norwegian pilots are in training. The Norwegian government has plans to purchase up to 52 F-35s. The JSF will replace Norway's current fleet of F-16 fighter jets. Today's delivery has marked a new important step for RNAF, the Norwegian Defense Minister said that the F-35 is not a simple F-16 substitute, but the new combat aircraft will provide the Armed Forces with a number of new capabilities that the nation had never had before. The Joint Strike Missile will allow pilots to reach and defeat well-defended targets at extended distances with very high precision. This will help to deter any potential opponent. The F-35 is also more able to support other parts of the Armed Forces than the current aircraft, and it will also be able to operate in areas which would be too dangerous for the F-16.